Midwest Laser Centre is a Med Spa providing medical and beauty treatments as well as medical grade skin care and cosmetics. RAW resides inside Midwest Laser Centre. We enjoy a partnership with a common goal of providing a wonderful experience for clients within a beautiful and professional space. MMP is a locally owned and operated printing company. They have done everything from designing our logo to our car wrap, wall decals, business cards, pop up banners and more. OBM is a Saskatoon based digital marketing company. They provide social media consulting and coaching for RAW as well as website design and management. We recently purchased our company vehicle ~ a Toyota C-HR. We received fantastic service, a quality vehicle and impressive pricing! I've had the pleasure of organizing and being a part of many special events and fundraisers for various organizations over the years. 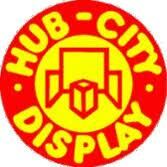 Hub City is a family owned and operated business that provides not only amazing products and great services, but they also give back to the community by donating and supporting many events and organizations. I spent two days with Will last year doing an advanced training class in Phoenix Arizona. He continues to provide mentorship and support for all alumni as well as his knowledge and expertise.